As Bikram yogis, we are all experts on sweat, right? Well, we are all good at perspiring, but do we really know what is happening with our bodies when we sweat? Working out for an hour and a half in 105 degrees classifies most of us as endurance athletes according to many sports nutritionists! Because of this, it is important to make sure we are supplying our bodies with the basics of endurance nutrition: calories, fluids and electrolytes. Most of us have a good idea of what we are doing with the first two, but what about electrolytes? First, what are they and what do they do? When we sweat, we are not just losing water, we are losing large amounts of sodium and chloride along with smaller amounts of calcium, magnesium, potassium and phosphate. The proportions of these minerals in sweat differs from person to person and is affected by many factors, including genetics, gender, age, physical condition and so on. That is why different people respond differently to a variety of electrolyte-replacement options. 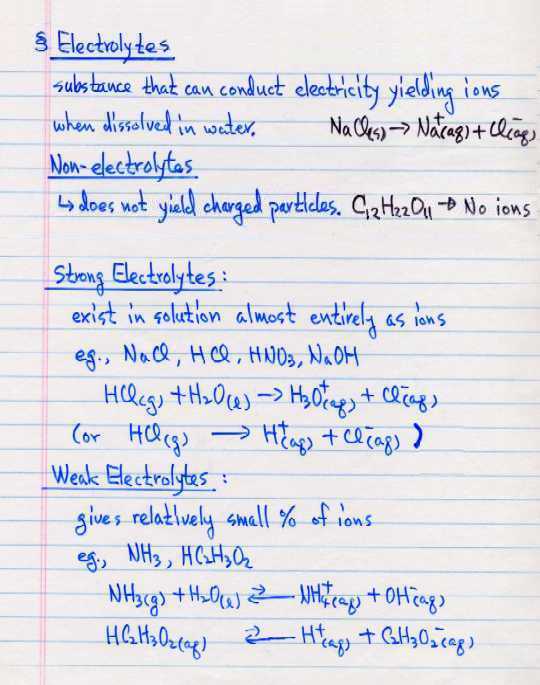 Second, how can we replace electrolytes? All of these minerals can be found in a healthy diet, and it is very possible for many people to replace eletrolytes simply with the foods that they eat. But because electrolytes require water to function, sports drinks or electrolyte-replacement fluids work really well during and after class because they are also addressing the issue of hydration. There are many products on the market, as well as DIY options. 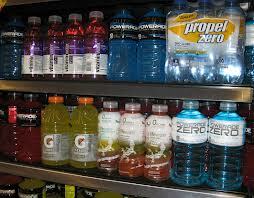 Sports drinks (Gatorade, Powerade, etc. ); coconut water; powders and tablets that dissolve in water, such as Nuun and Ultima; sports gels and electrolyte-enhanced water are among the options. Sports drinks work very well because they are formulated to provide a precise level of minerals (mainly sodium chloride). They also are high in sugar, though. This can be helpful when your fuel level is low, but might also contribute to weight gain. Additionally, many sports drinks contain artificial coloring and flavoring. Coconut water naturally contains the eletrolytes sodium, potassium, magnesium, calcium and phosphate. The amount of sodium in coconut water is very low compared to other replacement options while the amount of potassium is comparitively high. Flavored coconut waters typically have added sugars as well. 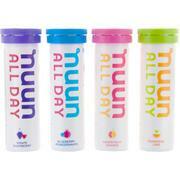 Products such as Nuun and Ultima, which can be dissolved in water, provide balanced electrolyte replacement. They are both naturally flavored and colored, and they contain less than 20 calories per serving. Nuun and Ultima are considerably cheaper then sports drinks and coconut water. Sports gels are another option. They are similar to sports drinks, but boast a much higher calorie count. Sports gels do replace electrolytes, but they are designed to provide fuel in the form of carbohydrates. Sports gels are typically used by endurance athletes out on long runs or rides over two hours during which it is inconvient to stop to eat. Electrolyte-enhanced water is sold in many supermarkets. 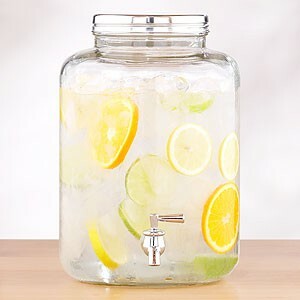 Minerals are simply added to the water without any coloring, flavoring or calories. Lastly, you can make your own electrolyte-replacement drink. Senior teacher Rajashree Choudhury recommends adding a pinch of sea salt, a squeese of lemon and a small amount of honey to your water for class. What works for you may not work for the person standing next to you in class. I recommend taking some time to read about electrolytes, experimenting with replacement options and–most importantly–listening to your body. It will tell you exactly what you need.